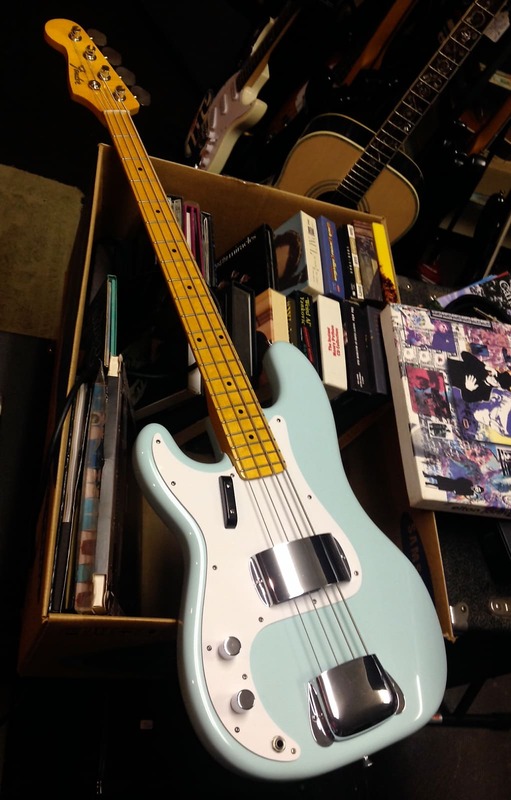 Seller describes it as a parts bass but I think it's a refinished 57RI and the price is great regardless. Not surprised. It was super nice looking and a great price. That was one of mine. The description on the site was correct. Frazier was an easy guy to deal with. Seemed to be very honest. That was a more than a fair price. It is a nice bass. Maybe someone here got it? I was going to comment, those Eden Necks have a great look to them. I was with Paulo before I read the description thinking it was all Fender Japan. Yep They're good necks for the price. I was hoping someone here got it. Always nice to have your bass get a good home. So, are you still playing the telly bass? Long Story. He was selling a slew lefties from an estate. I actually got two from him both tele style basses. One was a custom built relic 51 P, built by Madison Guitars. Very faithful to the original Fender 51. Very nice bass. I used to play that one out once in a while when I first got it, but now just mostly at home when I practice. I would play it out more often except the other one I got turned out to be my go to bass. It's the one that he was talking about. It is a Fender Custom Shop 55P Master built by Jason Davis. Quarter sawn flame maple neck, Aztec gold body with white guard. A real crowd pleaser. I get comments all the time about it't appearance, but all that is only icing on the cake. It turned out to be the best player I own by far, at only 8 1/2 lbs. (at 68 that's high on my list) I'm hard pressed to gig with anything else. Truly got lucky. So yes I do and am loving it too!